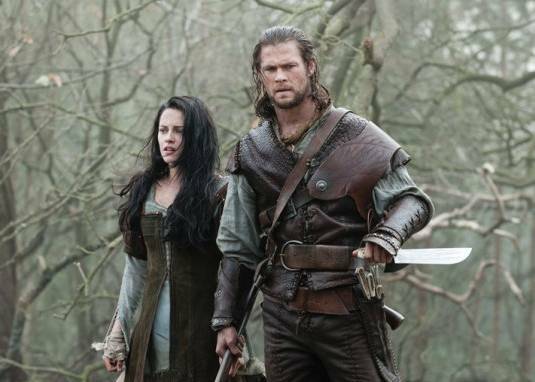 Mirror Mirror on the wall, it seems Snow White and The Huntsman is good after all! Snow White and the Huntsman might be the second Snow White film to hit cinemas in this year, but this dark gritty take on the fairy tale, is fresh, entertaining and most certainly good. Jumping into a medieval world, which is akin to Lord of the Rings or Game of Thrones, the film mixes magic, myth and legend with a hint of originality that sees Snow White as a warrior, with primal instincts to survive any situation that gets thrown at her. The film takes us through some really magnificent locations, ranging from the Castle, to the Dark Forest and the very colorful, Sanctuary, a once-enchanted home to dwarfs, sprites and unique animals that has come upon hard times since the evil queen has been in power. Charlize Theron plays the Queen Ravenna to perfection, in a role that she will be remembered for in future. She is truly menacing, evil and wicked, stealing every scene she is in. She is the highlight of the film with a real terrifying performance that you haven't seen from her ever. Chris Hemsworth swings his way around with his trusted battle-axe in this film as the Huntsman, the newest addition to this fairy tale story. 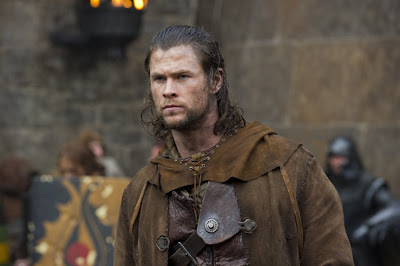 Hemsworth manages to give us a solid performance playing this big brute, by providing the right touches of emotion as well providing plenty of action to the fairy tale. 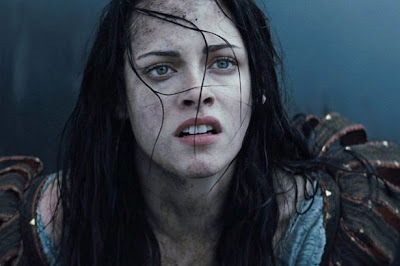 Kristen Stewart plays Snow White in this film, and her performance really isn't that bad. The problem is that Kristen is miscast in this film, Snow White supposes to be a fierce strong warrior woman, and yet Kristen manages to bring that slight hesitancy that we see so often in her role as Bella. 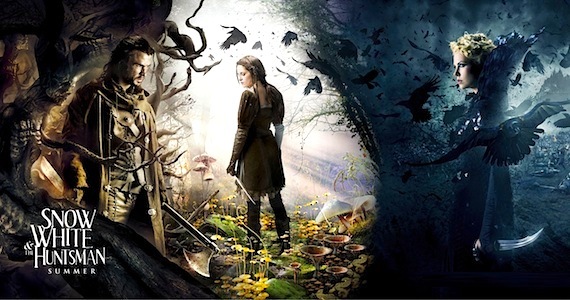 Kristen does do a fairly good job in this role, but in a film with many other interesting characters, like the Huntsman, the Queen, the Dwarfs, and even Snows childhood friend, William (Played well by Sam Clafin), who comes off more as a Robin Hood than Prince Charming, you would have been happier if Snow White was asleep a lot longer in the film. The 8 Dwarfs (yep I said 8, but do become the 7 Dwarfs’) are so under utilized in this film and they such an entertaining bunch. You could only wish that if there is a sequel about the Huntsman that he would take these 7 Dwarfs with him on his next adventure. The film could be a bit shorter though, as it does feel a bit disjointed at times, as well being unevenly paced, where things move along quite fast in the beginning then it slows down, and jumps into life at random points in the movie. However, we must say, that we enjoyed the film as it is entertaining and though it might not be the perfect film, you will enjoy the ride.